I love the salad days of summer. I realize I am taking liberties with this phrase. Technically, you can’t really have salad days of summer. You can have salad days of your life, when you are green and sprightly and full of zest and inexperience. Those days are long gone for me, having just past the mid-century mark. Nevertheless, I do love the salad days of summer, when the garden and markets are bursting with all things green and sprightly and full of zest. 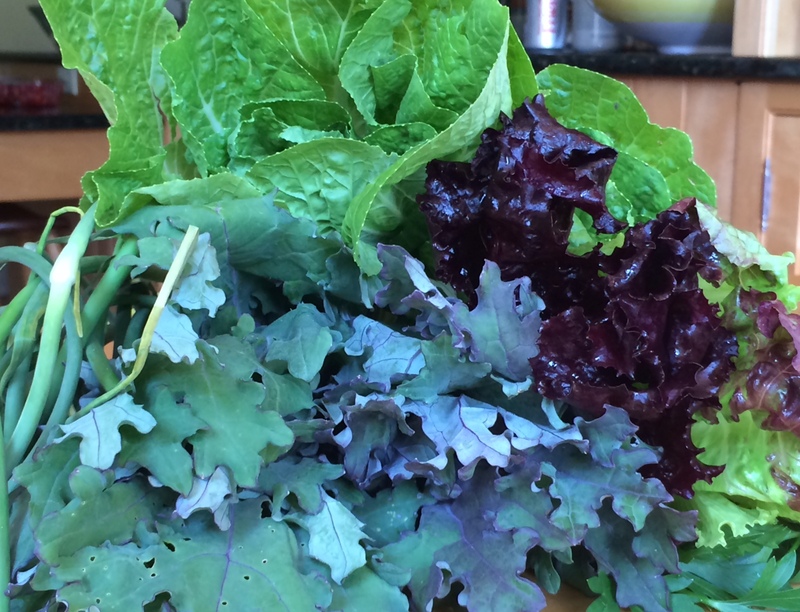 My CSA still has lettuce and kale and plenty of leafy greens for a delicious salad. These are the vegetables you long for in the heat of August when you’re drowning in zucchini! All of this salad is made more delicious when eaten on a bug free evening, around a Fancy Fire Pit. 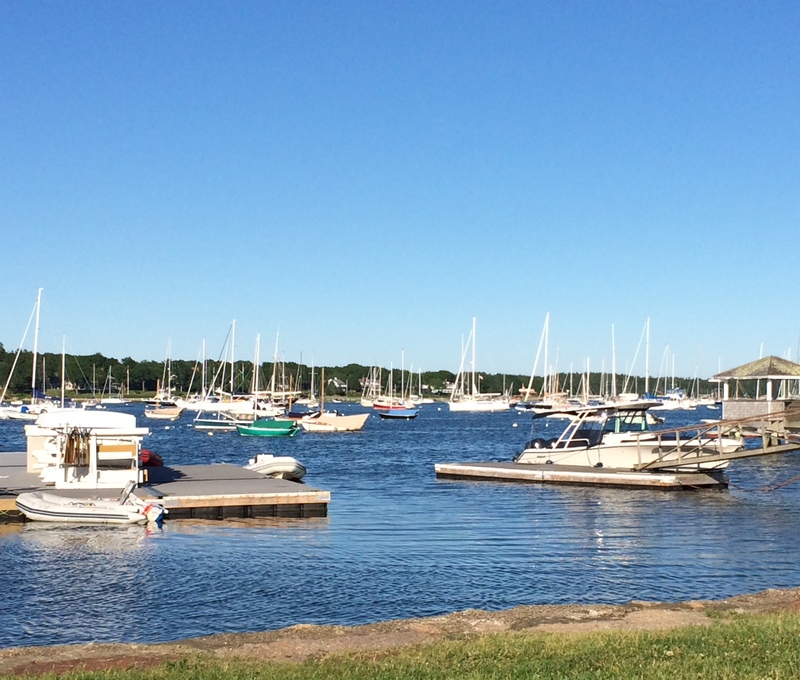 Or made into a healthy lunch and enjoyed on a pretty afternoon, sipping lemonade and watching the boats go by. This is one of my favorite spots. If you eat enough salad, you can follow it up with a homemade ice cream sandwich! I just made them from Smitten Kitchen and they are currently chillin’ in the freezer. I can’t wait to try them. For my salad, I am thinking of making a little Asian-inspired dressing and turning it into a crunchy slaw with kale, napa cabbage, carrots and slivers of red pepper. I might add some grilled chicken if the kids are home for dinner. But if it is just me, a sprinkling of peanuts on top will give me a little protein and an extra punch of salt. Add to that some chilled lemonade or white wine and I am happy. And don’t forget that yummy ice cream sandwich for dessert! This entry was posted in Green by Joy. Bookmark the permalink.